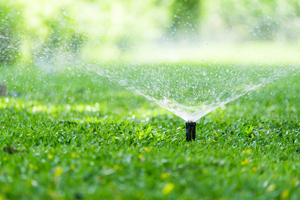 With 30 years in sprinkler systems under our belts, you can trust the expertise of Commercial Irrigation & Turf. From residential to commercial to golf course needs, we can install and maintain any sprinkler system in Urbana. If you have been searching for a sprinkler company you can rely on, call Commercial Irrigation & Turf. Backed by quality work, efficient services and proven results, our team strives for 100 percent customer satisfaction. We are trained and skilled in using the best tools and equipment. This includes trenchless technology for minimal disruption. Thus, we are the sprinkler company Urbana IL trusts for dependable service. Operating throughout Central Illinois, our team is by your side to ensure you’re making good decisions. Servicing Urbana, as well as Bloomington, Champaign and surrounding areas, Commercial Turf & Irrigation trains all its technicians in the latest technology. Consequently, we are with you throughout the entire installation and construction process. With more than 1,000 sprinkler system installations to our credit, you can rest easy knowing you’re in good hands. Competent, skilled service: that’s what you get with Commercial Irrigation & Turf. Our goal is to cause minimal disruption to your home or business. Thus, we do this through the use of trenchless technology. And with application-specific tools and machinery, we can complete the job in one to two days. 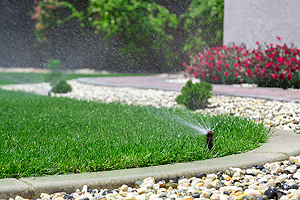 When you need a trusted sprinkler company in Urbana IL, contact Commercial Turf & Irrigation at 217-398-1494. Alternatively, you can fill out our online form for more information.